The Laurel 1911 Walnut Street (Southern Land Company) (2016-2018) - Consulting for Marketing Development, Strategic Planning, and Unit Mix with Southern Land Company, Developer, on a 51-Story Residential Rental and Condominium Mixed-Use Building with Retail component. Multiple meetings with developers, architects, and lenders to formulate floor plans, amenities, marketing and sales/prospect strategies. Parc Rittenhouse(2004) - Initial development of unit mix. 10 Rittenhouse(2003-2004) - Initial consultation and meeting with Skanska, architect and developers. The Rittenhouse Hotel and Condominiums (2015-2016) - Development and Sold the 19th floor Residences. Conversions of 9,632SF of office space into Raw Space to 3 residential condominiums. The Residences at The Ritz-Carlton, Philadelphia(2005-2010) - Sales Directors responsible for initial $140M in executed contracts with deposits. Directly responsible for planning and executing all marketing, advertising and public relations; maintaining of Sales Office and staff; preparation of projected Sales Volume, Pricing and Inventory Level Reports; worked directly with Ritz-Carlton Corporate and Marriot International on brand immersion; knowledgeable of lending institutions, FNMA and FHA approval processes. The Rittenhouse Hotel and Condominiums - In 1997 completed the sales of the 33-story, 163 condo unit building followed by a resale office for 7 years (1998 - 2005). 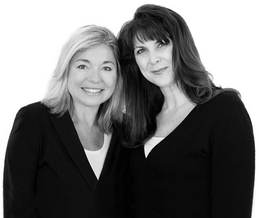 During the 7 year period of resales, Diane and Margie were directly responsible for 40% of $1M+ condominium sales in Philadelphia. From 2000 to 2004 sold 71 re-sales condominiums at The Rittenhouse in addition to other condominium and townhome sales in Center City and the suburbs. Due to our vast experience with selling luxury condominiums and homes, we re-opened our sales offices in 2010. We represent owners, buyers and renter in Center City and its Suburbs. We always attend all showings of listings for selling or renting your home – we never give a code or key to another Realtor. It’s that specialized service that makes the difference! We offer personalized attentive expertise in the Philadelphia market.